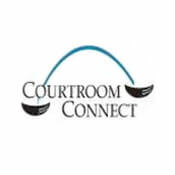 Courtroom Connect creates technology solutions for legal and financial professionals, with a primary focus on remote participation in legal events. West, a Thomson Reuters business, produces legal, business, and regulatory information in print and electronic services. TrialSmith offers the nation's largest online deposition bank exclusively for plaintiff lawyers.